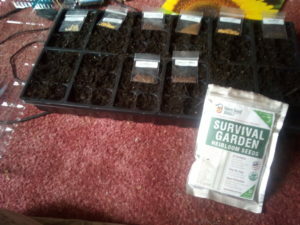 So I’m starting my garden a little later than I planned. But winter is holding on pretty long this year. I purchased non-hybrid seeds so I can get more seeds for next year. If they grow. Today I started some of the plants indoors.